Confronting the psychological, social, sexual, legal, and political issues at stake in the coming-out process, Acts of Disclosure: The Coming-Out Process of Contemporary Gay Men uses research findings and first-hand accounts to help gay adolescents and men accept and embrace their sexual identity as an integral part of their being. Offering helpful advice and specific suggestions that will guide you through the coming-out process, this text also teaches family, friends, and colleagues how they can support and encourage you in this challenge. 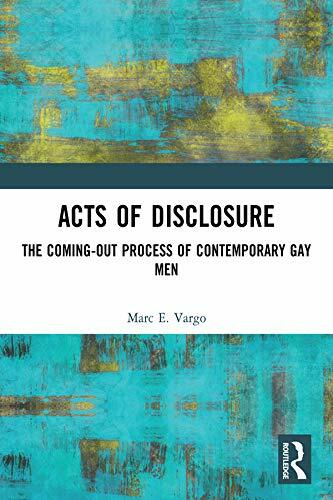 Gay males of all ages, parents, friends, children, therapists, psychologists, social workers, and educators who read Acts of Disclosure will realize their error in treating gay sexual identity as undesirable, shameful, or second-rate. As you turn the last page of this comprehensive and enlightening book, you will likely find yourself with an appreciation of gay male sexuality as well as with a better understanding of the complexities of human nature.